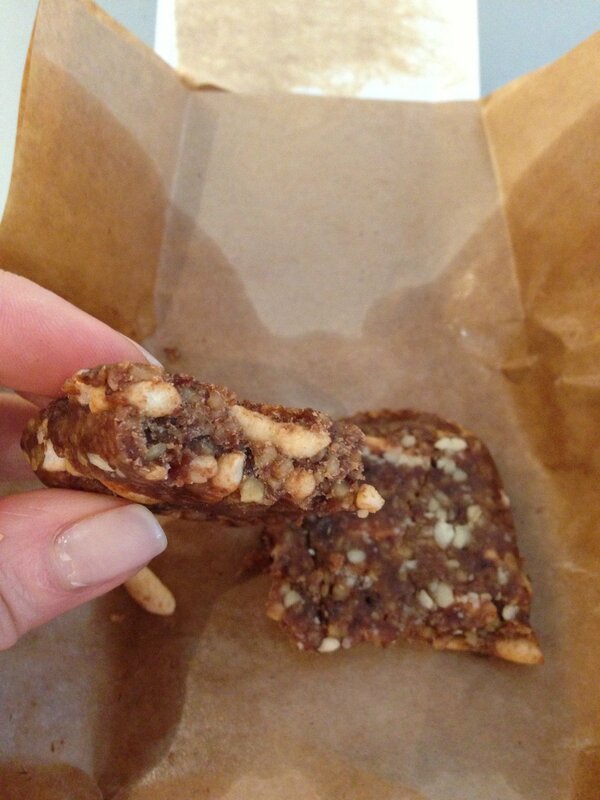 Have you ever tried a protein bar and been left with a nasty chalky aftertaste in your mouth? 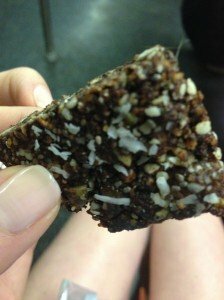 It’s really hard to find a good protein bar on the market that’s not loaded with junk or artificial ingredients; and that tastes good. I have always been a fan of supplementing throughout the day with healthy snacks and a quality protein bar can be a great pre or post workout meal. 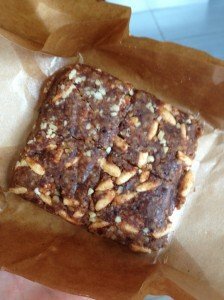 Protein bars are portable and easy to carry with you on the go, problem is many of them just have too many unpronounceable ingredients. 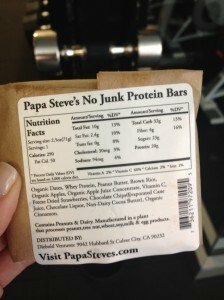 I recently discovered Papa Steve’s No Junk Protein Bars and was super impressed by thedelicious taste and the all natural ingredients. There is definitely no chalky aftertaste with these bars. Papa Steve’s bars come wrapped in paper and they seem to have just been made (if you order them make sure to store them in the refrigerator for longer shelf life). They remind me more of a delicious homemade healthy cookie than a bar. 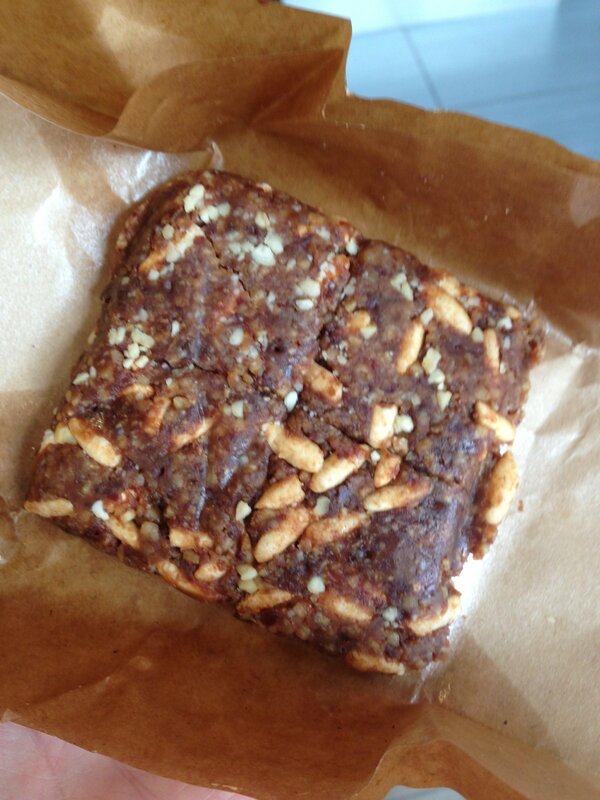 Each bar is segmented in to 4 individual squares which is nice for those who are watching their caloric intake. 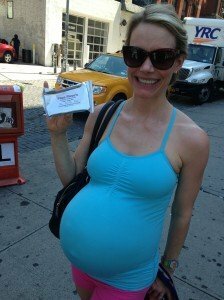 I ate the entire bar after my workout at the gym but I’m also 9.5 months pregnant and can use the additional high quality carbs, proteins and fats. The bars contain 20 grams of protein and they’re gluten, soy, and wheat free made from non GMO ingredients and 100% organic. Flavors include: peanut butter chocolate chip, chocolate coconut crunch, almond coconut crunch, banana nut crunch, blueberry almond crunch, apple cinnamon crunch and almond cranberry crunch. The peanut butter chocolate chip, chocolate coconut crunch and almond coconut crunch also come in dairy free versions. I can personally say the peanut butter chocolate chip and chocolate coconut crunch are scrumptious. I haven’t tried the other flavors yet, but certainly plan to. 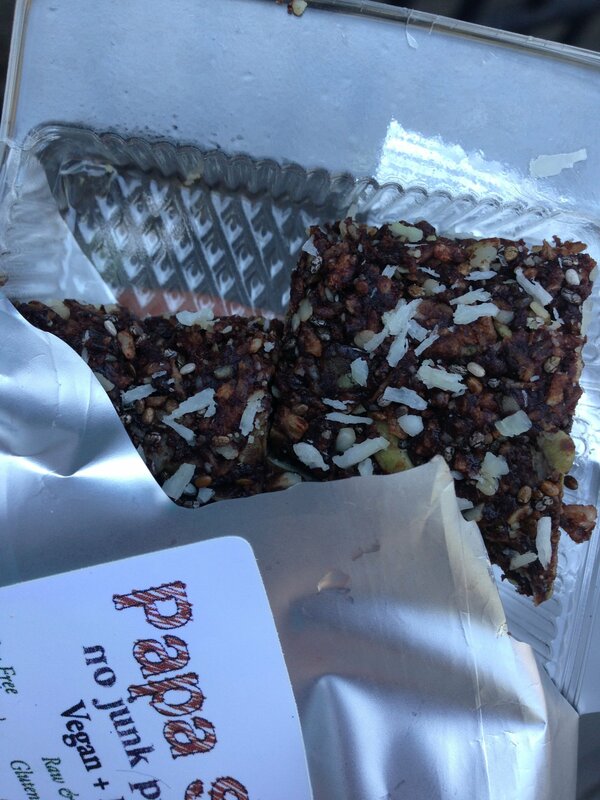 These bars are excellent for hikes, long workouts, breakfast, post strength training, etc. They really are freakin’ amazing tasting! I love the story behind the bars, Steve Diebold really went to great lengths to create a healthy recovery protein bar by studying nutrition and experimenting on his own to come up with the perfect mix. I think it’s so cool he and his family hand make the bars in small batches in their certified kitchen. 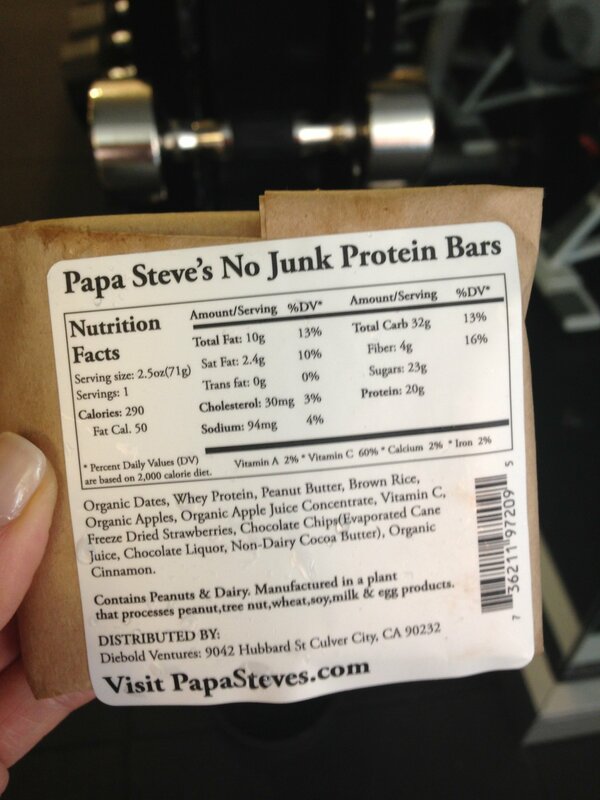 I’m a huge fan of supporting smaller companies and I truly love the taste and science behind Papa Steve’s protein bars. I highly recommend trying one with an ice cold glass of milk (dairy or non dairy). Your body and muscles will thank you for the delicious, nutritious snack. For more information visit www.papasteves.com and if you happen to try some let me know what you think! Signup to our mailing list & Save 10-50% on future orders! We stand behind the quality of our No Junk Raw Protein Bars and are happy to answer your questions.